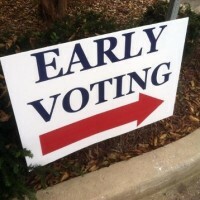 We are fast approaching the start of early voting. Next Monday, May 19th the residents of SD 10 will begin the process of choosing the next Senator for District 10. Locations are listed below! Please share this info with your friends and family who may need to know where to early vote.